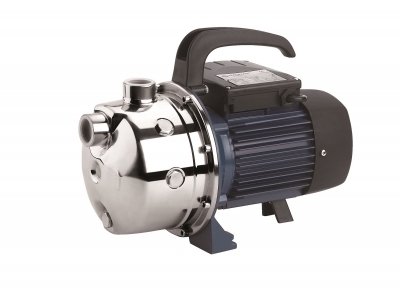 DN : 1" x 1"
Features : Jet pump suitable for high pressure, high head application. Genuine Copper coil. PPO Impeller. Overload protection in motor. Come with 1.2 meter plug-in cable. Self-priming designed with high head & high pressure. Application : Suitable for clean water or sea water application, household & domestic application, irrigation, industrial application, pressure boosting.